White House says ISIS has lost its final territory in Syria. The White House said Friday that the Islamic State (ISIS) jihadist group has lost its final territory in Syria, AFP reports. Asked by reporters if ISIS had lost 100 percent of its territory, she replied, "Yes." Trump himself showed reporters maps of the region -- one showing the large areas once held by the group and a second that showed the situation on Friday with no presence. "There's ISIS, and that's what we have right now," he said, pointing at the two maps. The White House declaration came after days of bombing and other attacks by Kurdish-led forces to clear the final tiny pockets of resistance by ISIS fighters in the village of Baghouz, where they made a last stand. However, a spokesman for the Kurdish-led Syrian Democratic Forces said Friday that despite the White House's assurances, "clashes are ongoing." ISIS overran large swathes of Syria and neighboring Iraq in 2014, proclaiming a "caliphate" in the land it controlled. Since then, several military offensives, including those backed by the US-led international coalition, have since seen ISIS lose most areas it once controlled, including the loss of their de facto capital Raqqa in Syria. 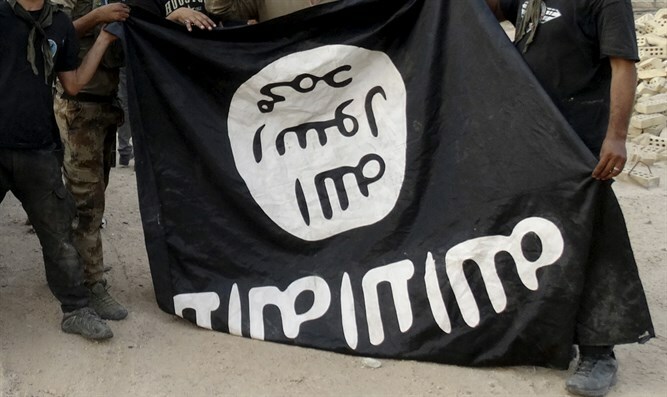 However, despite losing the physical caliphate, thousands of ISIS fighters remain in Iraq and Syria, and the group continues to carry out terrorist attacks. The loss of the Baghouz enclave would signal the demise of the "caliphate" in Syria, after its defeat in Iraq in 2017. Trump unexpectedly announced in December that he had ordered the Pentagon to pull all American forces out of Syria within 30 days. Following the president’s initial order to withdraw from Syria within one month, Trump met with South Carolina Senator Lindsey Graham on the withdrawal, and agreed to stagger the pull-out over a four-month period. Earlier this week, he said he would leave 400 troops in Syria, including 200 near the border with Israel.